Discussion in 'Tutorials and Tools' started by Splinks, Oct 9, 2018. I cracked the code of the witchcraft that is going on in that MMD Dance world! The secret is needing Final IK sadly. Mr.Crane, Highom and VectorSix like this. 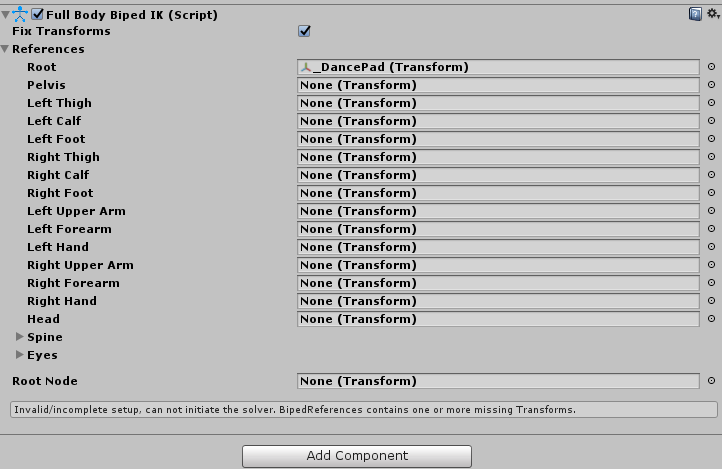 So if we have multiple pads and dances we just have to add this new component right? so i have to buy Final IK to get the head to move with the body? this thing you did is amazing btw, thank you for the sharing it with us. i haven't purchase the "final IK" from the store at unity yet. but yes my avatars are fine, is just than when i try it in my world the body dances but the head stays in place as the rest of the body dances, that goes with any avatar i try to dance with it.